Holy Thursday is the day when we give thanks to merciful God for the gift of priesthood and the Eucharist. Jesus allowed me to enter the Cenacle, wrote St. Faustina about her mystical experience, and I was a witness to what happened there. However, I was most deeply moved when, before the Consecration, Jesus raised His eyes to heaven and entered into a mysterious conversation with His Father. It is only in eternity that we shall really understand that moment. His eyes were like two flames; His face was radiant, white as snow; His whole personage full of majesty, His soul full of longing. At the moment of Consecration, love rested satiated – the sacrifice fully consummated. Now only the external ceremony of death will be carried out – external destruction; the essence [of it] is in the Cenacle (Diary, 684). At the Shrine of Divine Mercy in Krakow-Łagiewniki, on Holy Thursday (April 18) at 10:00 the Holy Chrism Mass will be presided by archbishop Marek Jędraszewski. Oils for the exercise of the Holy Sacraments will be consecrated. Priests from throughout the archdiocese will concelebrate the Eucharist with the Cardinal. They will be accompanied by youth and the Liturgical Service of the Altar. 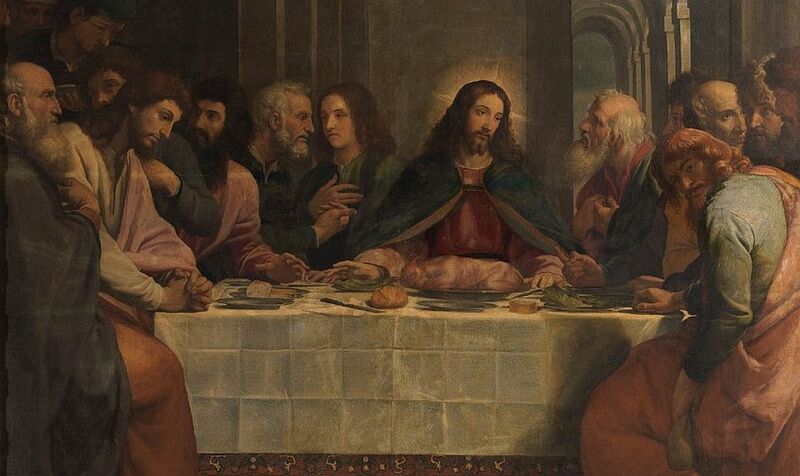 About 6:00 pm, Mass of the Lord’s Supper will be presided by Bishop John Hare, the honorary curator of the Shrine. The Holy Thursday liturgy will be completed by the procession of the Blessed Sacrament to the Altar of Repose, which traditionally arranged in the convent chapel of the miracle-famous image of Merciful Jesus and the tomb of St. Faustina. Adoration of Jesus in Repose will last all night.